Get what you need to start building great user experiences for VR, AR, Voice and inclusivity. The user experience is ever-changing. New experiences are emerging all the time, from VR and AR to voice. 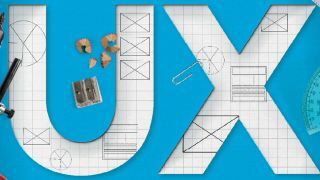 For more details, take a look at our article on the biggest new trends in UX. These technologies all present new challenges, and as you might expect new tools are appearing that will help take up this challenge. Here you can find six essential web design tools to help build better UX. A-Frame is a web framework for building Virtual Reality (VR) experiences. Originally developed by Mozilla, it is an independent open source project. A-Frame is HTML, making it simple to get started. Microsoft’s ‘mixed-reality’ product, HoloLens, is the first self-contained, holographic computer, enabling you to engage with your digital content and interact with holograms in the world around you. Generate London 2018 brings together a host of leading lights from the industry imparting many words of wisdom. Front-end UI developer Sara Soueidan presents her 'Front-End Meets UX: Designing & Creating Universal UI Components' workshop ably accompanied by her talk on 'Using CSS (and SVG) for the Good of UX'. These are two of many talks and workshops not to be missed.